Home » What Does Mister Rogers Have To Do With Work? Everything. Last night I saw the new documentary, “Won’t You Be My Neighbor?” about Mister Rogers. I wasn’t entirely sure what to expect, but within the first five minutes I started tearing up – and, subsequently, I wept on and off throughout the entire film – mostly out of feeling moved by the story about a beautiful human being. 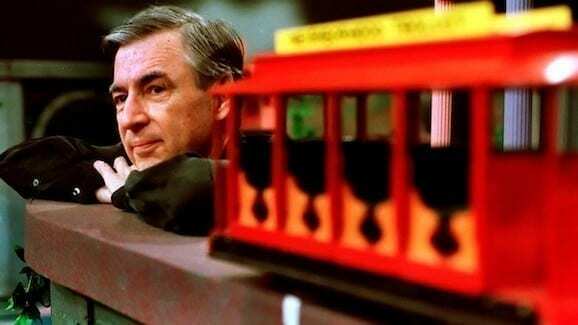 In our current societal moment, when so many male leaders – spiritual, business, political – are facing scandals connected to their abuses of power and influence, Mister Rogers stands out as a beacon. I didn’t know that was originally trained as a minister, and as one of his friends puts it, he chose to practice ministry with a very sacred population – children. I still remember watching Mister Rogers as a child – often in my bedroom, on a little black and white television that sat on my desk. Many can attest that just hearing his voice, seeing him move through daily rituals, like changing out of his jacket into his homey sweater, was deeply soothing. It certainly was for me. Mister Rogers understood children. He deeply respected – and cared for – children. He saw each child as a unique reflection of life and demonstrated a profound level of acceptance and love for the children around him. So what does this have to do with work? We may not love everyone we work with, but it can be helpful to remember that all us adults were once little children, and those inner children still live inside of us. In fact, some people we work with drive us crazy – but if we’re honest, it’s because something in their behavior brings up a difficult experience inside of us – including feelings like anxiety, disappointment, hurt, and anger that are difficult to tolerate. And if we’re demonstrating curiosity about ourselves and practicing emotional maturity, most of that emotional work belongs to us. What this means at work can take all kinds of forms, if we take this understanding, and practice, seriously, and we remember that our colleagues are human beings first, employees second. I believe it means remembering, as often as possible, that the person you’re emailing, meeting, collaborating with, has a deep need for respect just the way you do. And if you’re a manager or a leader, this understanding takes on a more profound significance, because as a leader your behaviors, attitude, and presence are “on amplifier”. Who you are, how you show up, your emotional tone, the wording of your communications, and everything you do is either an opportunity to show respect, and care, for people or not. It’s not a small thing, and if we take it as seriously as Mister Rogers did, it’s a deeply sacred and spiritual practice too.